Plans are underway in downtown for the 33rd Annual Main Street Texarkana Christmas Parade on Monday, Dec. 4, 2017, at 7:00 pm. The parade theme for 2017 is “Gingerbread Village”, and organizers are expecting over 100 lighted entries in the annual parade. 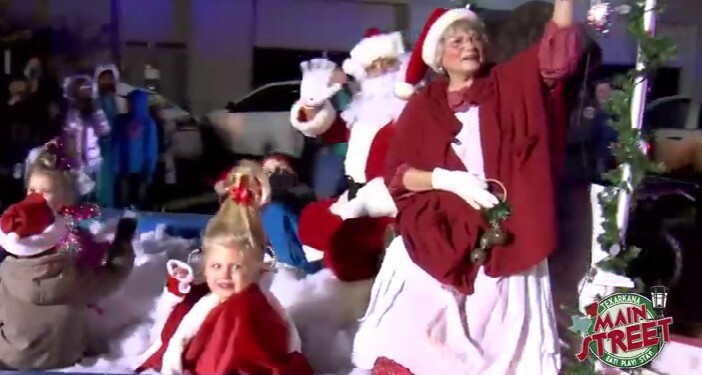 Marching bands, dozens upon dozens of floats, vehicles, live camels, and of course the guest of honor, Santa Claus. There will be vendors at the Farmer’s Market with lots of items for sale, fresh cut trees will be available. To enter your business or organization to participate in this year’s parade CLICK HERE TO DOWNLOAD FORM. The deadline to enter the parade is Friday, November 24, all entries must be lighted to participate. For more information call 903-792-7191 or, Email: mainstreet@texarkana.org. You can also visit their website or Facebook page. 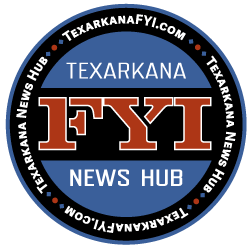 The Main Street Texarkana Christmas Ornament for 2017 is also now available. 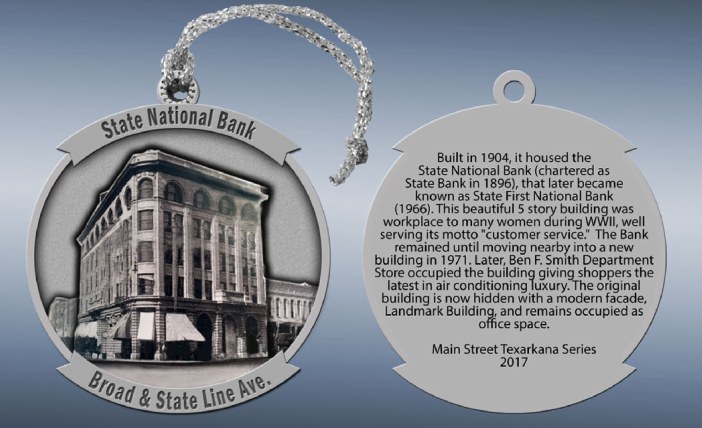 This year’s ornament will feature the Landmark Building, as it looked in1904 when it housed State National Bank on the corner of Broad and State Line. Information to purchase this year’s ornament can be found at MainStreetTexarkana.org or by calling 903.792.7191.